My running year 2015 could not have ended on a better note. While it had been a truly amazing year of running adventures, I have had my share of disappointing finishes from the 5K all the way to the 68 mile distance between March and December of this year. 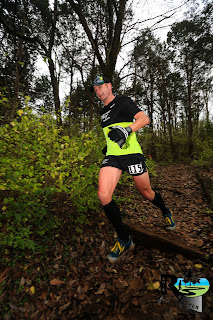 The year had started off extremely well at Pistol Ultra 50K (4th OA, 1st Master and PR) and Mountain Mist 50K (course PR by almost 90 min) in January and at Mt. Cheaha 50K (6th OA) in February. Unfortunately, I also sustained an injury to my previously reconstructed ankle bone and tendon at the Cheaha race, which put a serious dent in my training, from which I never really felt fully recovered, i.e. I lost the little pace I had and never really regained it. A new job in July also meant that my mileage was a little lower than I would've liked, but that new job has also made me a much happier person professionally, so that's definitely a positive. The recovery from the ankle injury did prove to take much longer than I had hoped, so I started to stay away from my usually high number of short distance road races, where I would normally work on improving my speed. As a result, my speed did not come back quite as I had hoped. In August, I had the highlight of my running career and the most exciting adventure, yet. I participated in and finished the Ultra-Trail du Mont-Blanc, a 105 mile race around the Mont-Blanc glacier massif. 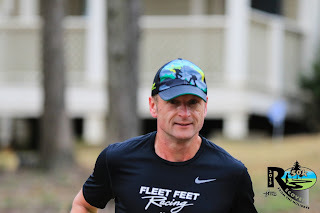 While that was a fantastic experience, it also took me 39 hours to finish, so it didn't really help my pace:-) Afterwards, I just focussed on maintaining base mileage without doing any speedwork at all. 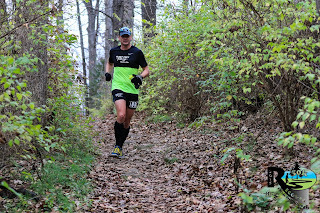 Next up was the JFK 50 Miler and the Rocket City Marathon, both of which did not go as expected at all. 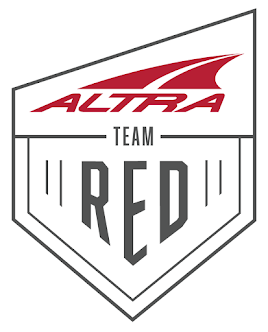 I could blame tired legs, lack of full recovery from UTMB, lack of proper training regimen, but in the end, all of it made me feel pretty depressed about my current running abilities. 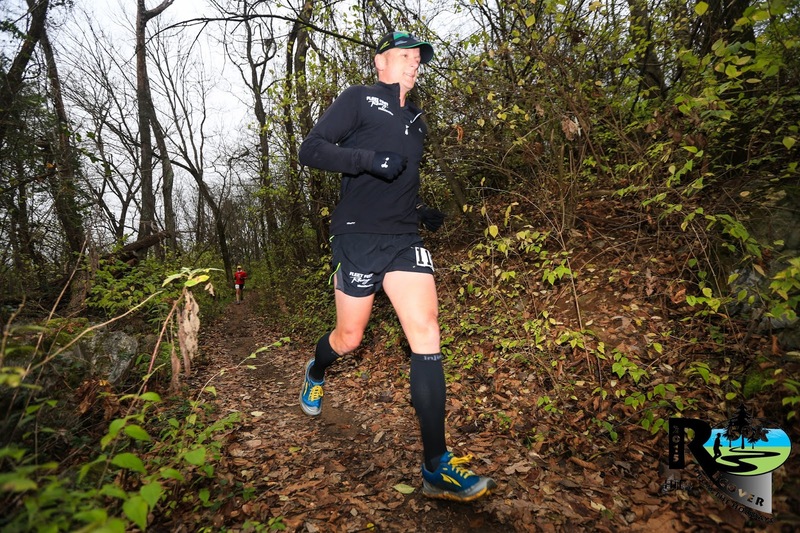 I needed a good race, but I didn't feel like I could have a good race, so when the Recover from the Holidays came along, I really truly just wanted to use it for miles. As a result, I had no high hopes or goals on race morning other than to cover and run the entire distance and every hill. I made a point of starting the race further back and to stay relaxed. I ran the first few loops with different friends, chatting along the way and feeling very good. So good, in fact, that I continued to slightly increase my pace during the first few laps, but staying relaxed along the way. According to my watch, I was approaching an 8:30 min per mile pace, much faster than originally planned, so I decided to try to hold that pace and not go any faster unless I was feeling extremely good during the final lap. I was now just about two thirds done and still feeling great. It was at this time that I realized I was running top ten. Soon after, I started running with and passing some folks that I knew were running in the front of the pack, which meant that I was now running somewhere closer to the front. I was now running fourth and on my seventh out of ten laps, I passed the runner in third place. While it all stared as a training race, I was now determined not to give up this slot. I wasn't sure how far ahead Eric (in second place) was and obviously, Josh was out of reach for good, but I wanted to keep my momentum going. After all, the race isn't over until it's over. I continued my pace, but started to slip over the last two laps. I kept trying to hang on with the goal not to drop off too much. I wasn't getting any closer to Eric as he was having a pretty good race himself, but I wasn't passed by anyone either. When I finally crossed the finish line, I realized that I had not only had a pretty decent run finishing third overall, but that I had also established a personal 50K trail PR by 23 minutes. 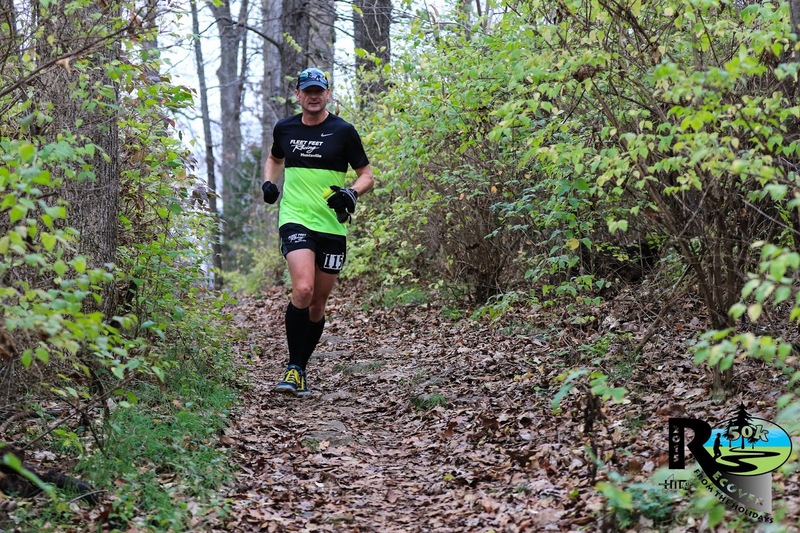 As a result, I started the year with a 50K PR and finished the year with a 50K trail PR. Overall, another exciting and good year of running, albeit with more challenges than the previous year. I look forward to another year of fun filled adventures on and off the trails. Thanks to Christy and Tony for putting on another awesome ultra event, class as always.